The practice of using human manure to feed the soil is not a new concept, many countries have been using these practices for centuries. We have, however, learned a great deal in recent years about health, hygiene, disease-carrying pathogens, and how to keep ourselves safe and healthy. Composting systems have often gained a bad reputation due to improper management. 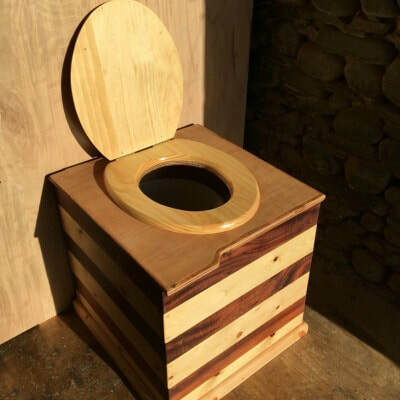 When safe and environmentally-friendly practices are applied correctly in composting toilet systems a person ends up with a healthy, nutrient-rich, and sustainable resource for the soil. To start, here's a few FAQ's answered by Nature Loo. ​Check out this great how-to video by Joseph Jenkins and his daughter! 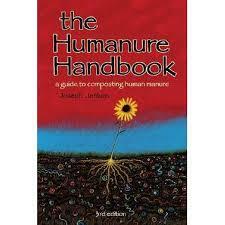 Written by a humanure composting practitioner and organic gardener with over 30 years experience, this third edition provides detailed scientific information on how humanure can be hygienically recycled, without fancy technological do-dads, a large bank account, toxic chemicals, or environmental pollution. ​Rich Earth Institute in Brattleboro, VT recycles urine into fertilizer, eliminating water pollution and supporting sustainable farming. They are starting a pilot program in 2018 for eco-toilets at events. Liquid Gold: the Lore and Logic of Using Urine to Grow Plants. book by Carol Steinfeld. EPA Fact Sheet - 2015/16 EPA fact sheet on the use of composting toilets instead of flush toilet systems. Compost Toilet Guidance Document put out by VT Agency of Natural Resources has information regarding permitting and requirements. 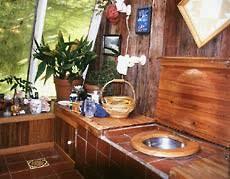 Greywater Action - This informative website has much info on composting toilets including types of systems, FAQ, codes and policy, and resources. Green Building Alliance - Also has great info on types of systems (costs, advantages/disadvantages), how they work, history, and installation/maintenance. What actually happens when you poop in a composting toilet? Poop, kaka, number two, the black banana, the bondi cigar, colon cobras, doo-doo, the monkey's tail, mud bunnies, mr ploppy, or the simple turd… no matter what you call it (and trust us we’ve heard all the names!) we all do it. But not all of us have gotten over our ‘poo-a-phobia’ to realise this is actually a resource that can be utilised, and utilised effectively. To help you overcome your social conditioning of looking at poop as a waste product (LOL - it’s even labeled as a waste product) we’ve put together an article all about the science of a composting toilet and what actually happens to your poop once it heads down that chute and into the dark recesses of a composting toilet!